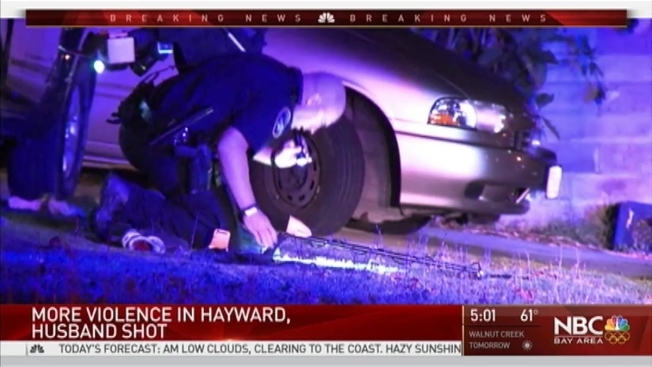 A suspect demanded a couple give up their cell phones late Tuesday night, and ended up shooting the husband anyway, according to Hayward police. Lt. Guy Jakub said the husband and wife were walking near 1985 Flordia Street near Dolphin Lane about 11:45 p.m. when a man approached them with a gun and told them to hand over their phones. The couple complied. Then the suspect shot the husband once. He was taken to the hospital. Jakub said the suspect fled in a candy apple red SUV with gold rims.